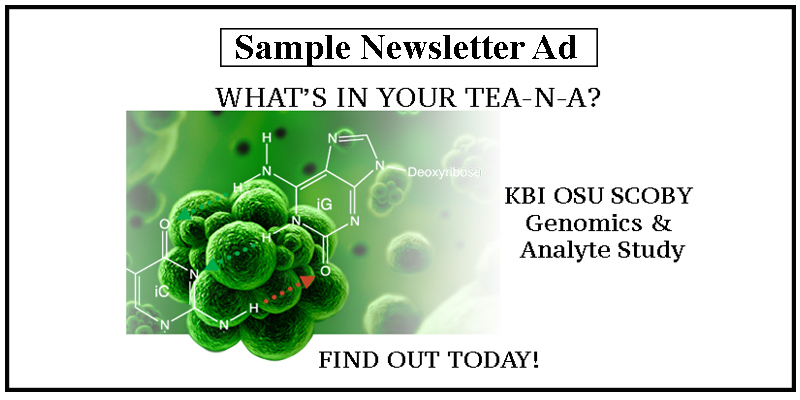 Every two weeks the KBI e-newsletter is mailed to over 1,200 subscribers who rely on it for information, meet new members and, of course, get updates about our annual KombuchaKon. In each e-newsletter, we offer a rectangle ad located below the opening message in the paid advertisement spot. Newsletter focused solely on your company! This is a great offer for companies looking to promote your products and align your brand with a deeply integrated KBI community. Our website offers exposure to more than 3,500 unique visitors monthly and your ad will be prominently featured on the home page for one month. A members-only forum, this opportunity allows you to reach those who work within the industry. 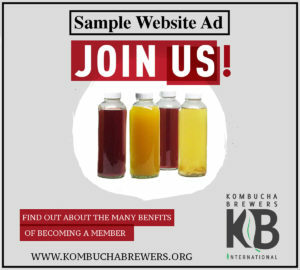 Connect with your target market through sponsoring educational content for our global network of kombucha brewers, your ad copy to be read 2x during webinar. Opportunity to present educational content while also highlighting your brand to a targeted and engaged audience. Presentations are 30-45 min (+Q&A) and the content lives forever (evergreen) in our “Member Forum”. Website ads are updated on the KBI website the 1st of each month (or subsequent day in case the 1st falls on a weekend). Ad submissions need to be submitted by the 24th for approval. Newsletter ads are accepted on a rolling basis. – Copy is subject to editor’s approval. Ads can be purchased through our PayPal account or can be sent electronically to info@kombuchabrewers.org. Questions regarding advertising should be directed to admin@kombuchabrewers.org.